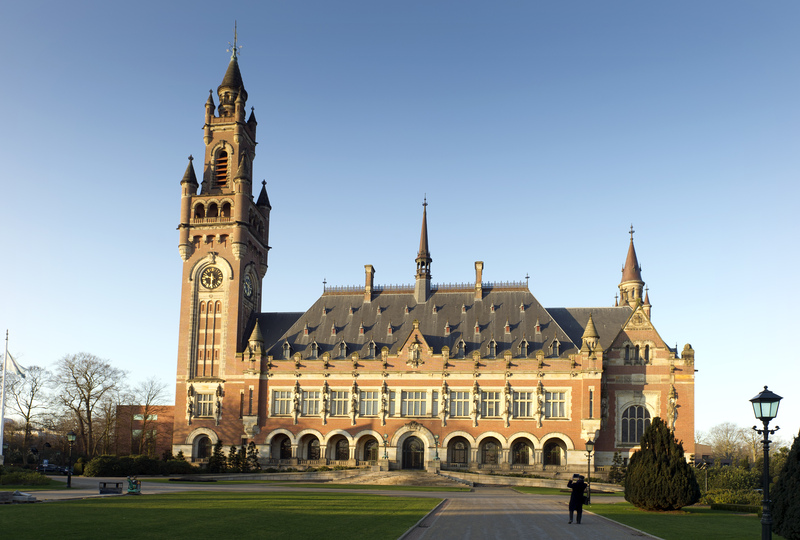 NYU School of Law is currently accepting applications for a Traineeship with the International Court of Justice (ICJ) in The Hague. The traineeship program is open to current 3L and LLM students at NYU Law, as well as JD and LLM graduates from 2014-2018. It will run from September 2019 to June 2020. Trainees work closely with Justices, assisting them with cases before the court as well as with academic papers and speeches. The clerkship opportunity offers a stipend which helps to support the cost of living in The Hague. The Court looks in particular for candidates who have excellent results in their law studies and those who have studied, published or worked in international law. Candidates will usually be in the early stages of their legal careers (e.g., within three years of graduation) and have some practical experience in private or public practice, including work at another court or international organization, and/or post-graduate studies in international law. The official languages of the Court are English and French; participants must have excellent reading, writing, and speaking skills in at least one of these. A working knowledge of the second official language will be an asset. 6. Writing sample: Candidates should use a sample that has been submitted for publication or other work of publishable quality. The sample should not exceed 15 pages. Shortlisted candidates will be interviewed by a NYU Law committee, and NYU Law will forward one or more nominees to the ICJ by mid-February. The ICJ will select trainees from among candidates nominated by universities around the world. While NYU Law students have historically been very successful in this process, a nomination by NYU Law will not guarantee that an individual will be offered a Traineeship. For any questions, please contact Miriam Eckenfels-Garcia, Associate Director, Public Interest Law Center, at miriam.eckenfels@nyu.edu.